It's great writing a post here after a nice Thanksgiving break. 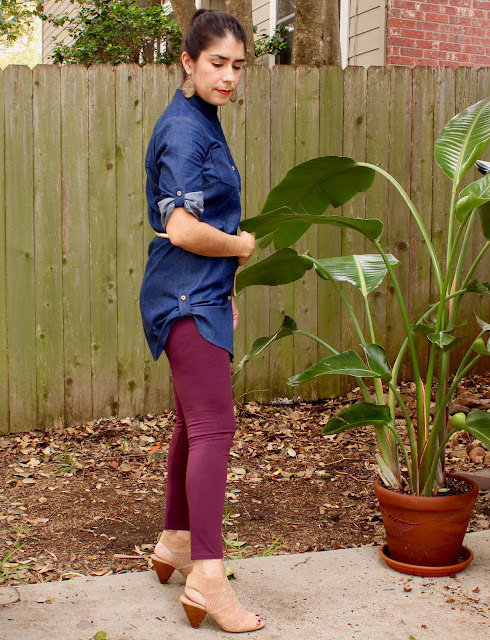 I didn't get a whole of sewing done over the break but did you see my #memade top that I posted on my Instagram? I just love how it turned out and will be posting about it here very soon. 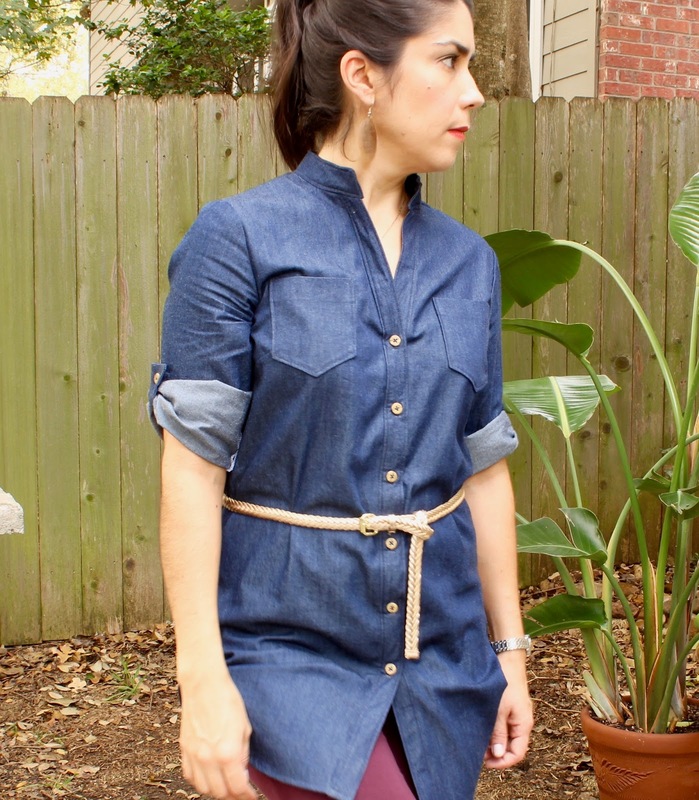 Anyway, on to this great chambray tunic that I sewed up for the fall. View/Style: This is view A and I cut out a size 12. Difficulty: Over all this pattern was very easy to follow. I did get a little confused in Step 16 because it was not clear to me to sew the front button band to both sides of the shirt. I sewed the neck band on with only one button band attached. When I realized I needed to have attached both front button bands, I had to remove the neck band. It was a little bit of a pain to fix but I figured it out. Techniques Used: This is great practice for making button holes (which I could always use) and hand sewing buttons (making sure that everything lines up correctly) and for making and sewing button tabs. 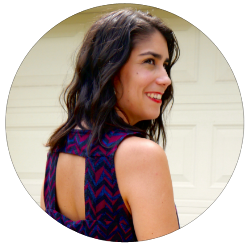 Alternations: I made no alterations to the pattern. Sew Again? : Yes I would love to sew this again, perhaps a different view for spring time. I love that this top is so versatile. When I made it, I knew that I would wear it with leggings which I've already been doing. However this top would also work well with skinny jeans in a lighter wash, if you're into the double denim trend.